It’s evident the temperatures have dropped. This calls for warm layering. One of the most practical items to wear in these colder climates is a chunky knit jumper. These can be worn on their own or layered with an overcoat. If adverse to unnecessary layering, wearing a chunky knit as your top layer is a great way of minimising too many layers. A chunky knit cardigan or roll-neck is a perfect casual or weekend option giving you warmth and style combined. A classic knit can also be worn accompanied with a blazer, but be sure to pair with something with a little depth and texture in the jacket fabric. Tweed, speckled wools and flannels are a superb match. You can also pair nicely with corduroy and selvedge denim for a variety of smart and casual looks. There are a number of chunky knit styles that you can adopt this winter. 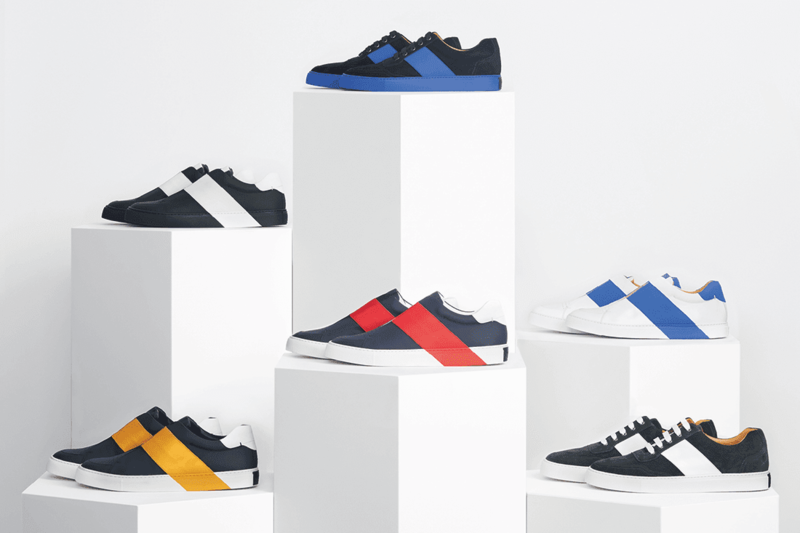 We go through a number of classic options and what best to wear them with. 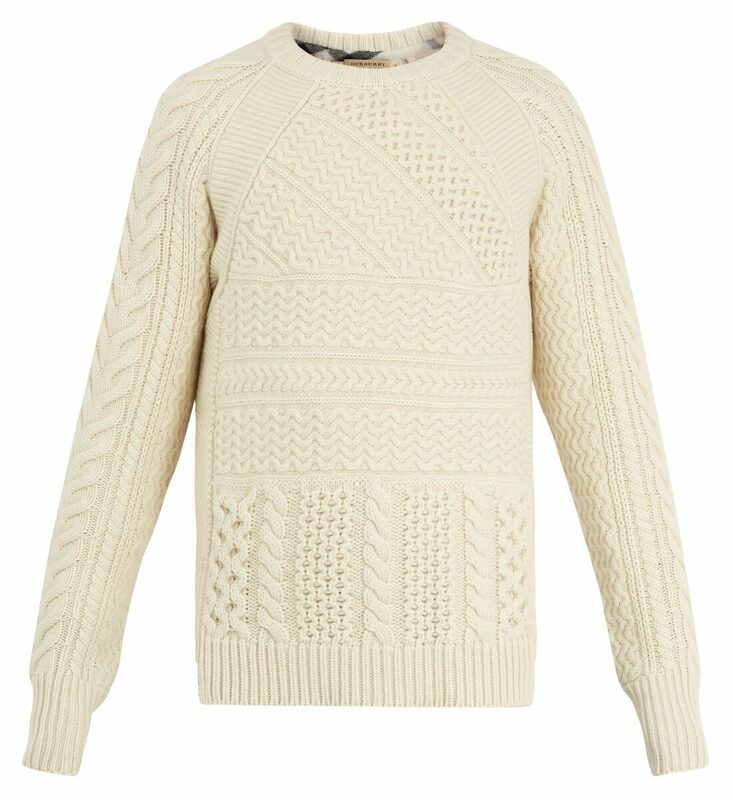 Aran jumpers are traditional Irish knits made from un-dyed wool yarn with patterns adorning the entire piece. 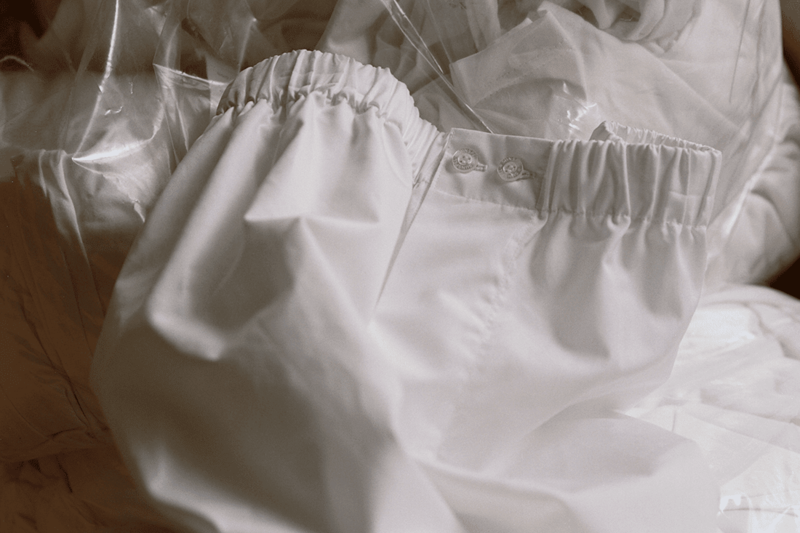 Worn by fishermen to stay warm and dry while at sea, the workmanlike practicality of the garments have been appreciated for well over a century. Nowadays one can get plenty of variations in the pattern, colours and weight of the wool itself – but they usually tend to be very warm sturdy pieces of knitwear with rugged appeal. Please note that sometimes Aran can be passed off as a Cable knit due to the nature of the cable patterns. 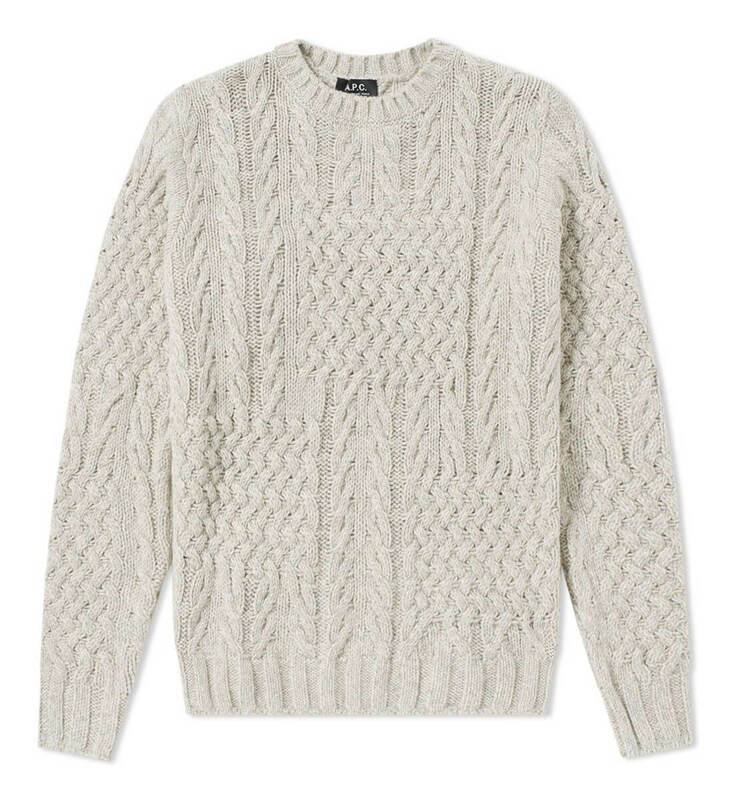 Party Texture Crew Knit, by A.P.C. Cable knit jumpers have slightly smarter characteristics and can be found in numerous weights. You’ll find more refined options in cashmere while lambswool variations will give you a good cross-over. Worn mostly on it’s own, you can pair quite nicely with a tweed jacket or heavy wool overcoat. Play around with your choice of cable size and weight – the finer the cable, the more adaptable the garment will be to your outfit. Larger cable knit designs lean toward a casual outfits as well as outdoor activities wear. Current chunky roll neck jumpers tend to be inspired by military garments worn by servicemen across the army, navy and airforce as evidently seen in the Ridley Scott movie Dunkirk. 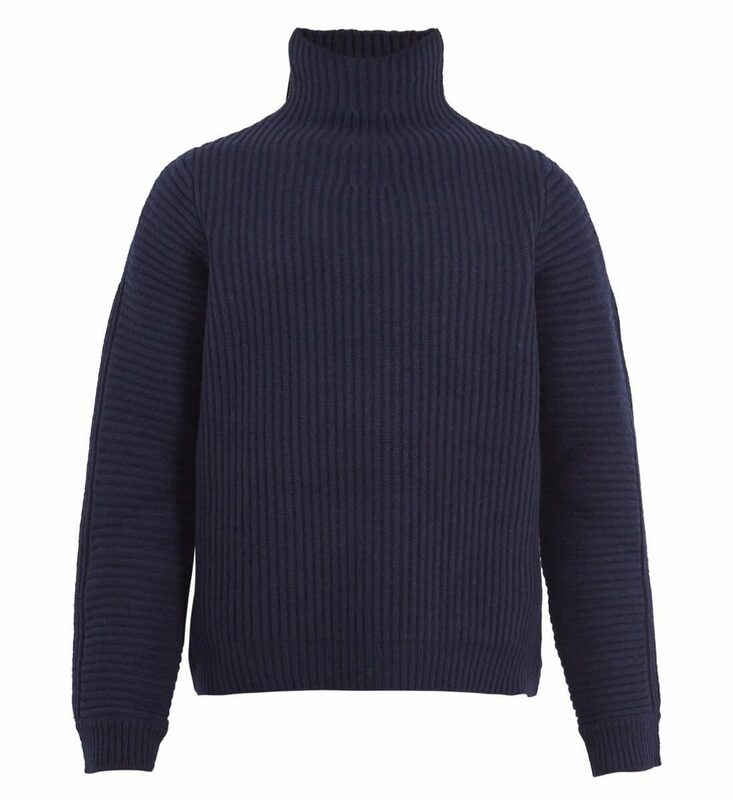 With all that inspiration and timeless appeal, the chunky roll neck remains a staple go-to for any man. 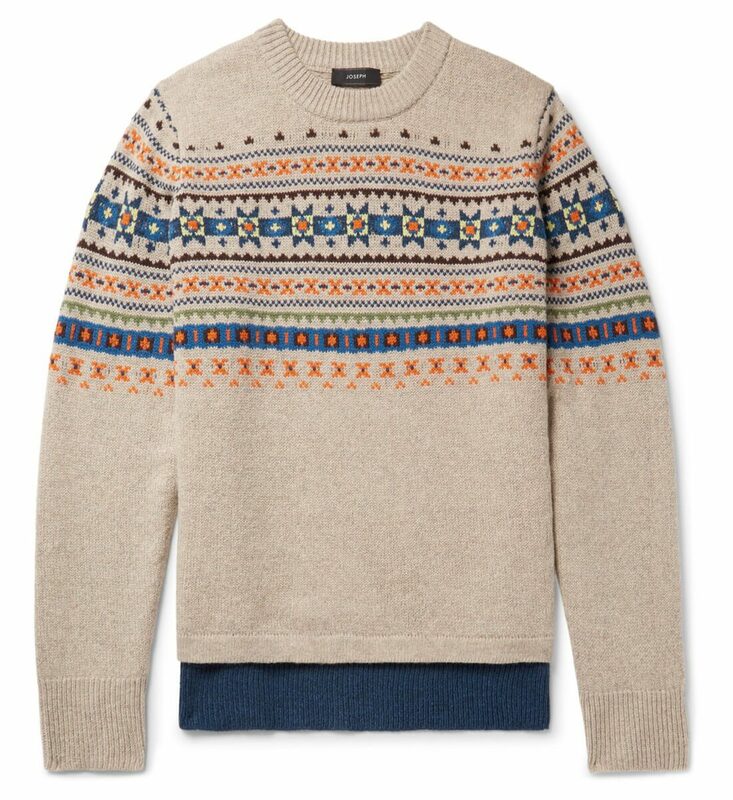 You can find ribbed knit versions or plain wool knits that go perfect with chinos or corduroy trousers. Choose a wider legged trouser to keep a balanced of proportion with the chunky nature of the top half. 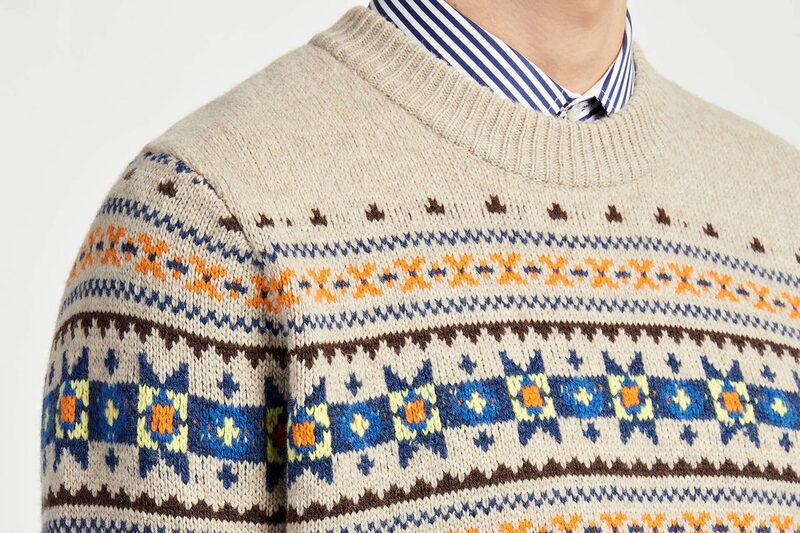 For the slightly more adventurous but maintaining a nod to history, Fair Isle jumpers can also be found with muted colourways that lend added dimension to the garments texture. They remain a casual choice with options of combining with chinos and denim equally acceptable and affective. For a more mature relaxed look, you can pair with corduroy trousers and Oxford button-down shirts. Word of warning – there’ll be a strong likelihood that you’ll find yourself feeling rather festive.